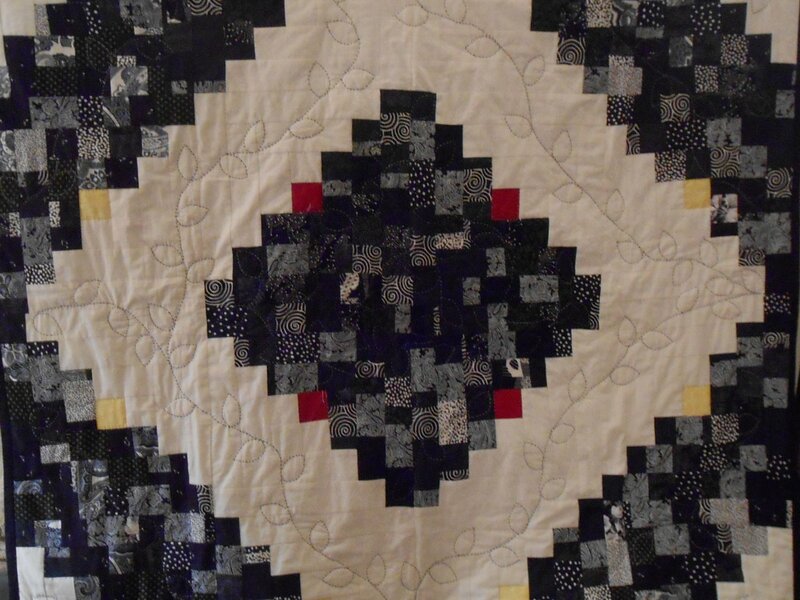 In Log Cabin Class taught by Susan Raineri, you will learn to choose fabrics, piece fabrics and complete a log cabin quilt top approximately 65" x 65". Class fee is $85.00, which includes help picking out fabrics, instruction and individual attention. The classes are small with 6 students each time. You will learn Eleanor Burns' method of fast piecing and you will leave the second class with a completed wall-size or baby size quilt top ready to be layered and quilted. For more advanced students, I will share a unique original method for your log cabin quilt. This class is suitable for beginners, intermediate, and advanced. The variations of log cabin are endless. You will learn a lot of techniques in this class that you can apply to all of your quilting projects. Fabric requirements and instructions will be provided at the first class. I will help you choose your fabrics. We will piece your quilt at the second class.